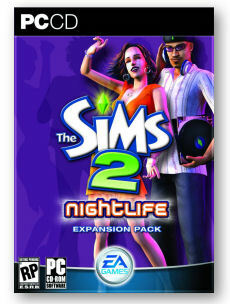 As the words of the song go "I love the nightlife...I like to boogie" and that is why it has taken me a week to start reviewing the latest expansion for "The Sims 2" as I have been too busy playing my families. 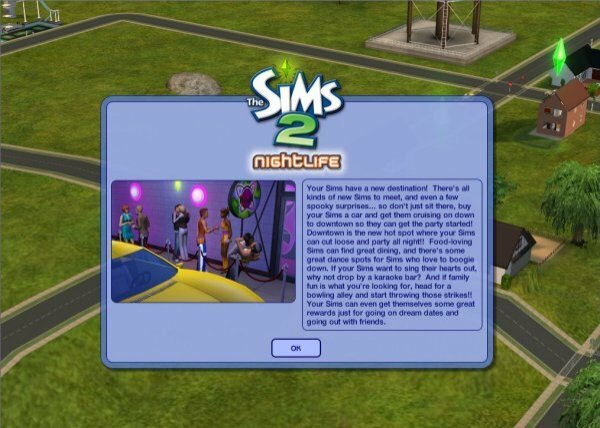 Maxis left us in no illusion as to what this latest expansion was about with a well-placed insert with "University" announcing "Nightlife" and with teasing artwork showed us to expect vampires. During the early Summer, I was privileged to be able to see a presentation and a preview about the game. Now it's here and yet again, in my opinion, the game has got a lot richer and is even better than what was known at that time. So for the duration of this series reviewing this expansion, put on your glad rags, get your motor running, lets take a ride to see the nightlife of Downtown and perhaps vamp it up with the count or countess. 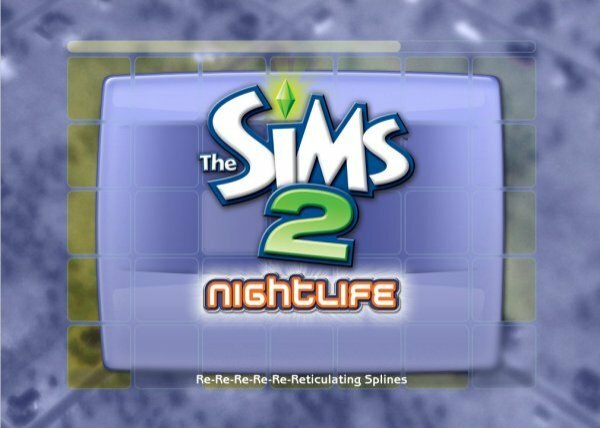 Nightlife (NL) comes on two disks and I had no problem installing it. Once installed, the game loads up pretty much as normal. The intro movie has not changed, but I was not expecting it to as it took until the 5th EP for TS1 before that was changed and this is only the 2nd EP for TS2. 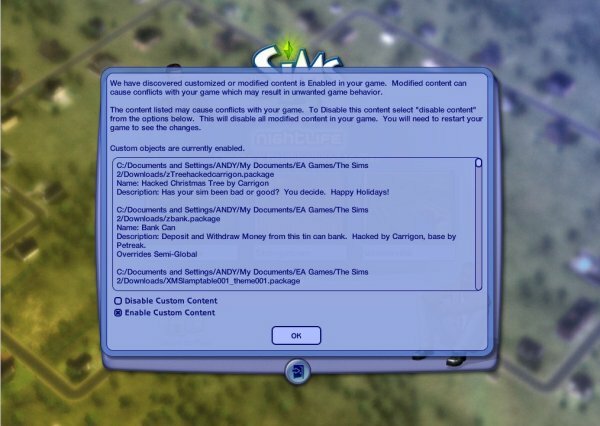 In Maxis's usual style, the comments along the bottom while the game is loading have changed to something appropriate. My favourite is "Re-re-re-re-re-reticulating Splines". 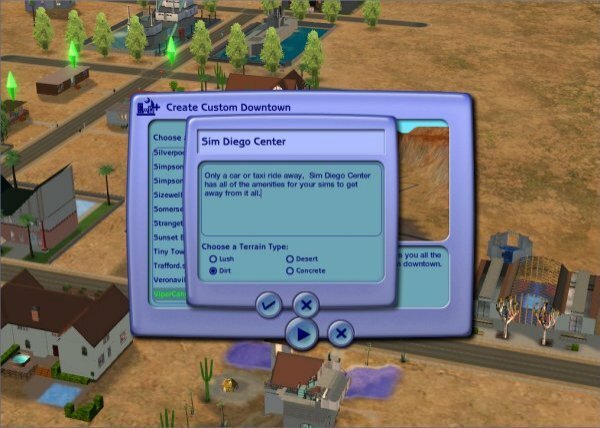 Before you are presented with the usual neighborhood selection screen, it asks if you wish to use custom downloads. 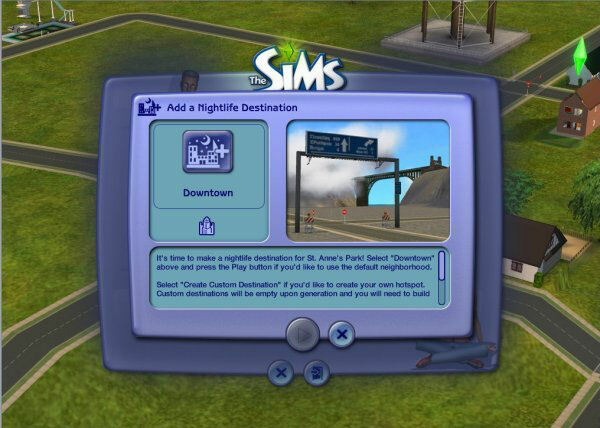 This screen can be toggled in a setting in Options once you are in a neighborhood. When you have chosen a neighborhood to go to, in a manner similar to University, it recommends you attach a downtown region. Uni gave a choice of three different campuses but there is only one default downtown. 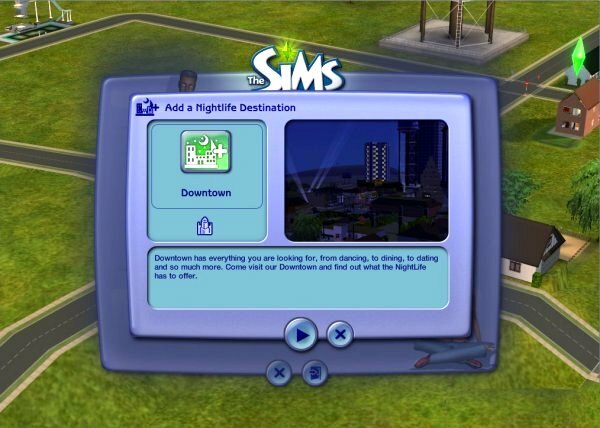 However, as it is packed with lots of different places to go, I would recommend new users to choose Downtown before creating your own. Nevertheless, the procedure for creating your own downtown is the same as creating a new neighborhood or university campus. You select one of the templates, add a name, a description if you wish and choose the terrain type from Lush, Desert, Concrete or Dirt. Then you start populating it. Written at 04:38 on Saturday 24 September 2005 by Andy.